Every summer we await the arrival of the plump, juicy, and intensely flavorful New Jersey farm peaches at Europa grocery on Forest Ave. They’re one of Ridgewood’s best-kept seasonal secrets (along with mucenici, which is arguably less enticing) that we touched on in our Ridgefood Grocery Shopping Guide, and we think these peaches deserve a closer look. 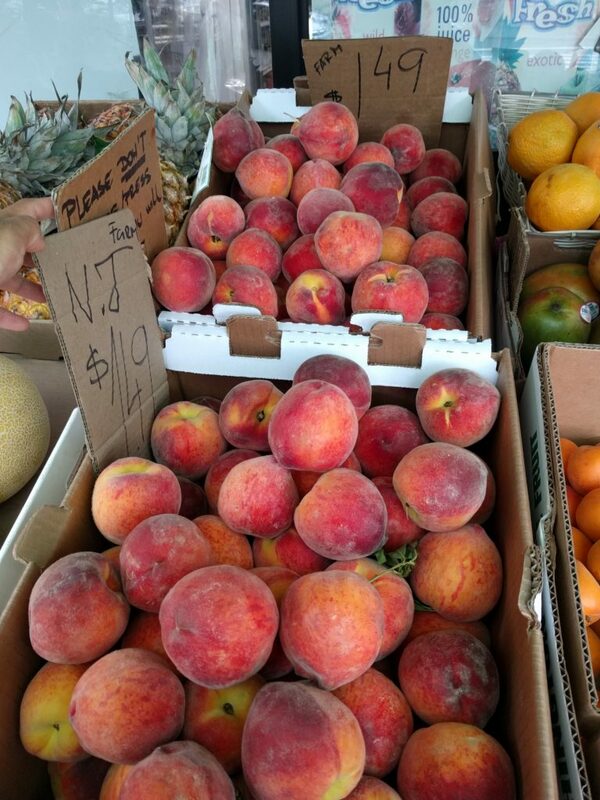 Other groceries like Parrot Coffee and Max Euro also sell Jersey farm goods (peppers, tomatoes, and the like) in the same telltale yet nondescript cardboard boxes often simply labeled “FARM,” but you can only find these magical peaches at Europa. 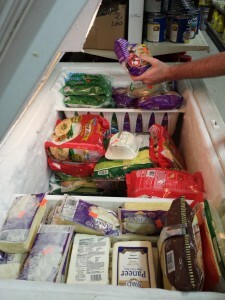 Last summer we hosted the legendary, once-in-a-lifetime Ridgefood Grocery Shopping Tour. Here, finally, is our long-awaited roundup of all the places we visited. The good news is: since we waited almost a year to write this post, it’s summer again, which means it’s the perfect time spend a leisurely, sunny Saturday afternoon checking out all these amazing places! The tour group—including me (Mollie), occasional Ridgefood contributor Ari, guest Instagrammer Alaina, and special guests Anne and Stephen—met at the Ridgewood Youthmarket, a seasonal farmer’s market that sets up shop in the Ridgewood Veterans Triangle every Saturday. Last year at the market, we scored kohlrabi, orange & yellow carrots, and kale. The market is open from 9am–3pm, now through November 22nd. Next, we headed to Mt. Everest—a quintessential Ridgewood establishment in that it looks pretty mediocre/shady from the outside, but then once you get inside you’re pleasantly surprised by what it has to offer. Ignore the cat-pee smell and explore the aisles; the Indian food is in the back. And be sure to check out the freezer, where you’ll find homemade momos, paneer, and other Indian & Nepali delights. The group quickly cruised through Fancy Fruit, an indispensable and uber-cheap greengrocer just off Myrtle Ave. 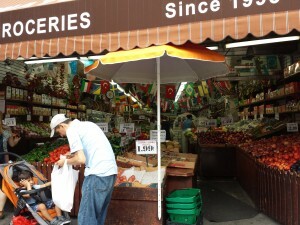 I stock up on produce here once or twice a week and rarely spend more than $15. Also, check out their impressive dried pasta selection (and their simple and excellent Mamma Lombardi’s tomato sauce is a staple in our house). 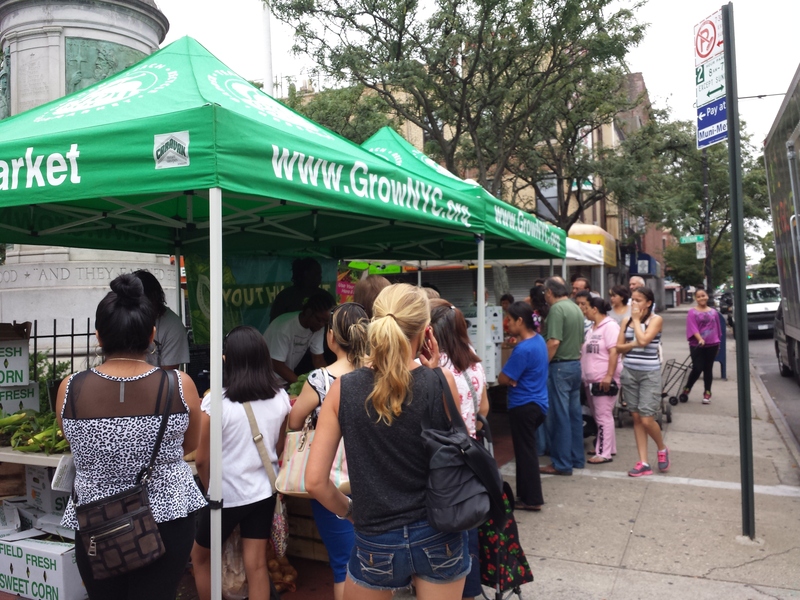 I’m a Queens native that just moved to Ridgewood after a few years in Bushwick and I was wondering if you knew of any Farmer’s Markets in the area this season? I know the one by Maria Hernandez is pretty close, but anything any more local? Hello friends! Awhile back we told you about our favorite Ridgewood meals of 2012. Arbitrarily coming in at #6 was gravlax, aka gravad lax, aka “buried salmon.” In other words, it’s traditional Nordic salt-cured salmon that resembles lox or smoked salmon. 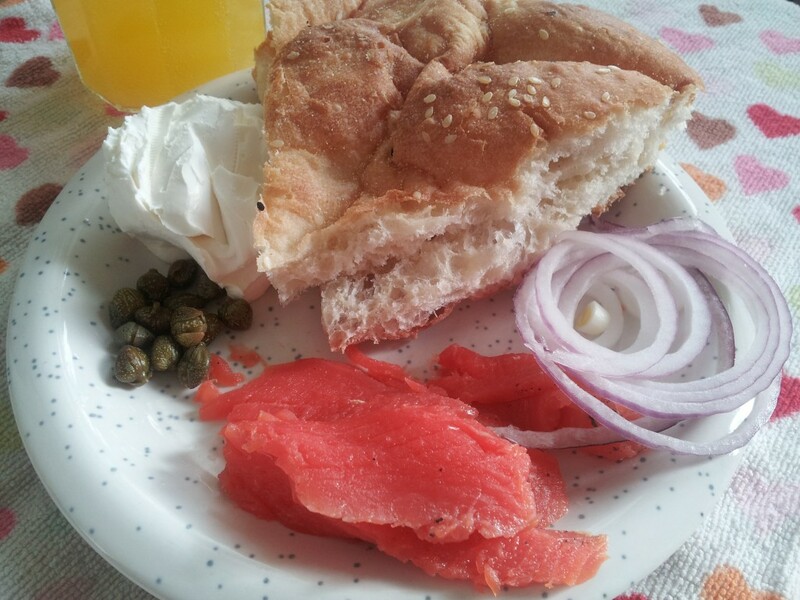 Why is gravlax so great, you might ask? It’s easy to make at home. Most importantly, you really can’t buy good-quality smoked salmon, like the kind you’d put on bagels, anywhere in Ridgewood. Sorry, Mr. Bagel! You just can’t.